Life changing money lessons! Your kids take cues for their financial habits and beliefs from you. It’s your responsibility to help them understand one of life’s most important lessons; sound financial management. What you teach and show them about money could set them on the path for a secure financial future. Or, leave them struggling with bad money habits, debt and spending issues as adults. I believe it’s SO important to discuss money with your kids. So I’ve put together 6 money lessons you can start with….you might even want to take some on board yourself! A great money lesson to teach your kids is the difference between assets and liabilities…and why it’s assets we want to accumulate. Money Lessons: Wealthy people buy assets and poor people buy liabilities. 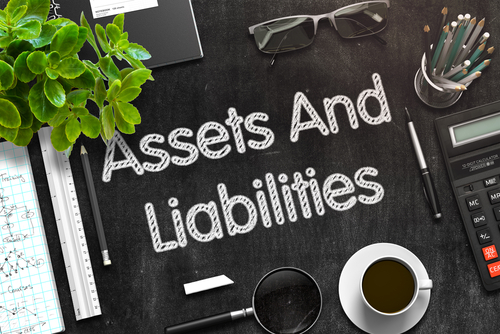 An asset is something that puts money into your bank account, while a liability actually takes money out of your bank account. Both are things you own, but an asset makes money for you. A car – Cars are an ongoing cost, you need to be paying for fuel, maintenance and insurance. A house -There’s often confusion about whether a house is an asset or a liability. If a house is costing you money with maintenance, taxes and other ongoing expenses, it’s a liability. A savings account – You receive interest from the bank for the money. That’s more cash in your pocket! An investment portfolio – Smart investment choices and a ‘long game’ mindset will see your investments return profits over time. Money making more money; it’s a winning wealth combination. A rental investment property – If you’re renting out a property and the rent received covers all your expenses for the property and then some, this is an asset that makes you money. Your money will only truly work for you if invest or buy things that create wealth, not drain your dollars. If your kids master the habit of paying themselves first from a young age, they’ll create a rock solid foundation to build wealth for the rest of their lives…and be in the 4% that are financially free! Money Lessons: Save first, then spend what’s left. Explain to them the idea of paying yourself first is to help secure your financial future. Saving some of any income received contributes to long-term and mid-term savings goals. Many people make the mistake of trying to save what (if anything) is left over after expenses and discretionary spending. Surprise! There’s usually nothing or very little left over at the end of the month with this approach. If they don’t already have one, set up a savings account for your kids. Help them set a financial goal they’d like to achieve in the next 12 months and a plan to reach it. 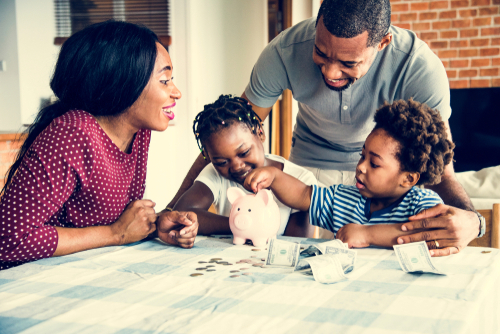 Have you ever worked through your monthly spending plan as a family? Many parents work out the household finances without involving the kids. However, openly discussing family expenses, income and a spending plan provides valuable financial lessons for kids. Money Lessons: Expense and income – Tell your money where to go. When you sit down to plan your monthly/weekly finances and cash flow, get your teenagers involved. Take them through the cost of essential living expenses like rent/mortgage, electricity, grocery spend, etc. Share the amount of income that comes in each month and what’s left after money is saved and expenses are paid. Step them through how you set up your monthly/weekly spending plan with whatever method you use, be it an app, excel or good old pen and paper. If you were to only teach a single lesson to take from this list, let this be it. Get your teenager on-board with compound interest early enough and you can change the entire course of their financial future. Money Lessons: Compound interest is the simplest way for your future self to get rich. Compound interest is when you earn interest on both the money you’ve saved and the interest you earn. Explain how compound interest beats simple interest over time because of the snowball effect of earning interest on interest. There are plenty of compound interest calculators you can use to demonstrate how it works and play around with different amounts and time periods. Show you kids how it’s possible for them to retire millionaires if they begin investing from their very first paycheck. Some of the richest people in the world agree that this simple money lesson has helped them generate incredible wealth. Money Lessons: Don’t spend more money than you earn. 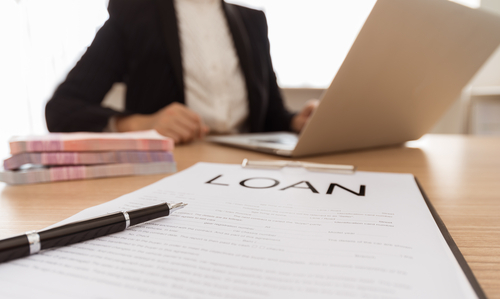 If you’re spending more than you earn, this means you’re borrowing money. Debt will take you further and further away from achieving real financial freedom. It’s where compound interest works against you! Explain to your kids that every dollar they’re paying back to the bank as a repayment on a loan or credit card, is a dollar they’re missing out on saving. They could be using this money to earn interest instead of paying it off. Living within your means, saving for what you need and not spending more than you earn is setting your future self up to win with money. When used responsibly, credit cards aren’t a bad thing. Problem is, when most people get their first credit card, they have no idea of the murky financial waters they’re wading into. This may be the last of the money lessons, but don’t let that diminish it’s power. Money Lessons – Don’t use credit cards for everything and always pay the balance each month. Explain how credit card interest works, that it’s not their money and everything has to be paid back. The longer it takes to pay it back, the more it costs. Use a credit card calculator to take them through examples of different balances, interest rates and why paying the minimum balance is never a good idea. Always pay the balance in full every month. Help them understand it’s not a smart idea to buy things like clothes and takeaway etc on credit cards. If you can’t afford to buy it in cash, don’t put it on the credit card. Unchecked spending on credit cards racks up debt incredibly quickly. Credit mistakes at an early age can follow your child for years and seriously impact their future financial lives. There you have it, 6 great money lessons to teach your kids. There are some lessons in these 6 tips that are worth millions of dollars if you are prepared to apply them. Do you talk to your kids openly about money? If not, what do you feel is holding you back?